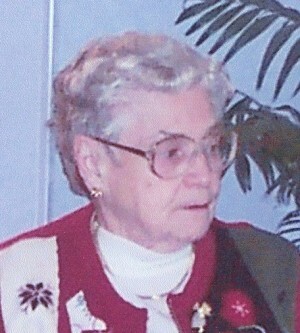 FULTON, NY – Catherine J. Soper, 91 of Fulton, passed away on Saturday, September 15, 2012, at Oswego Hospital, Oswego. She was a life resident of the Fulton–Granby area. Catherine retired from Sealright Company in Fulton. She was a communicant of the former Church of the Immaculate Conception in Fulton and was known for and enjoyed caring for others within her neighborhood. She was predeceased by her husband, Howard Soper; and a son, Charles Soper. Surviving are a son, Kenneth (Vicki) Soper of North Chesterfield, Va.; a daughter, Kathleen Soper of Oswego; a daughter-in-law, Janice Soper of Sterling; nine grandchildren; several great-grandchildren, nieces, nephews and cousins. A Mass of Christian Burial will be celebrated 9:30 a.m. Wednesday at Holy Trinity Parish, corner of Rochester and South Third streets, Fulton. Burial will be at St. Mary’s Cemetery in Fulton. Foster Funeral Home in Fulton is in care of arrangements. Gramma Kay will be greatly missed. Don’t know what we would have done without her in our lives.